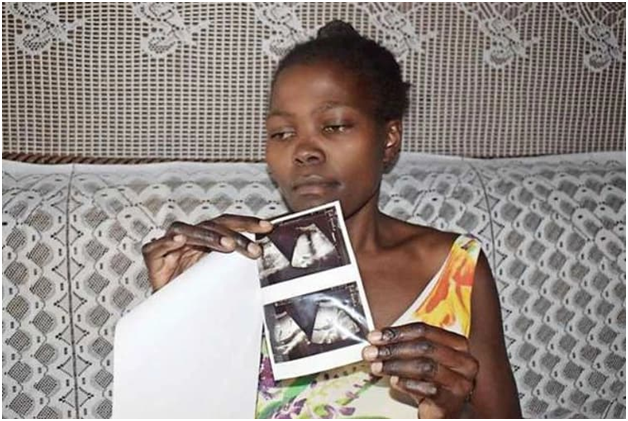 Wednesday, October 24, 2018- In a shocking case of medical negligence, doctors at the Jaramogi Oginga Odinga Teaching and Referral Hospital left pieces of cotton in the womb of a woman after C-section. The victim, 25-year old Joyce Oluoch, checked into the facility and delivered her twins via C-section. She was discharged and went home but after six days she started experiencing sharp pains in her lower abdomen. Her condition deteriorated with each passing day forcing her to go back to hospital for a series of tests. “I had to go back to the same hospital, where I went through a series of tests that yielded nothing,” she said. She spent three days in ICU and another two weeks in the general ward. That is when it emerged that there were traces of cotton in the lower abdomen which needed an urgent operation. “We went to the referral hospital with the results, and the doctor in charge scheduled the operation after a month, but it is now seven months since my wife started developing these complications,” her husband, Mr. Bernard Oluoch says. The couple is now asking well wishers to get the hospital to act. But according to the hospital boss, Dr Peter Okoth, the delay in attending to Mrs. Oluoch was caused by the need to investigate the case and check the history of the patient. See the photo of the scan below.